Sleigh bells have just about started ringing, so it’s time to get excited about those jolly trans-European trips to make merry and stock up on gifts. 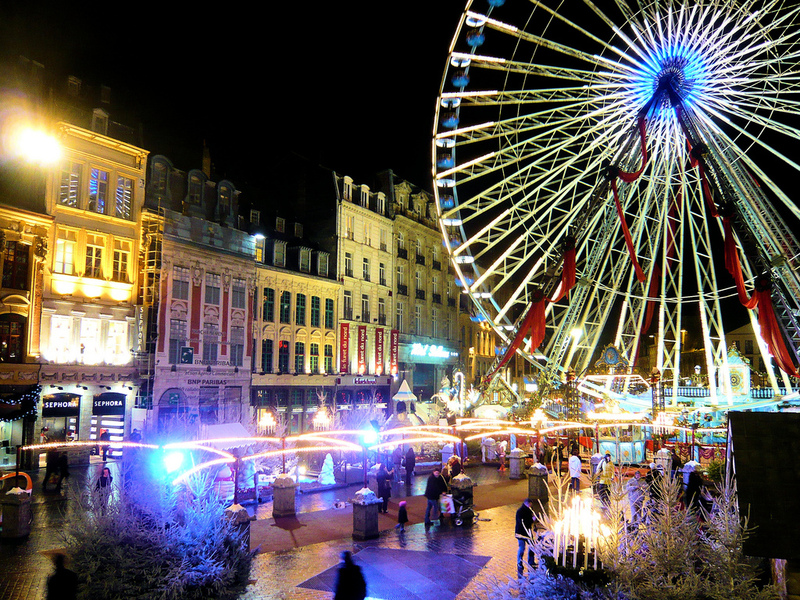 Enjoy our HI pick of top cities for Christmas markets this year. 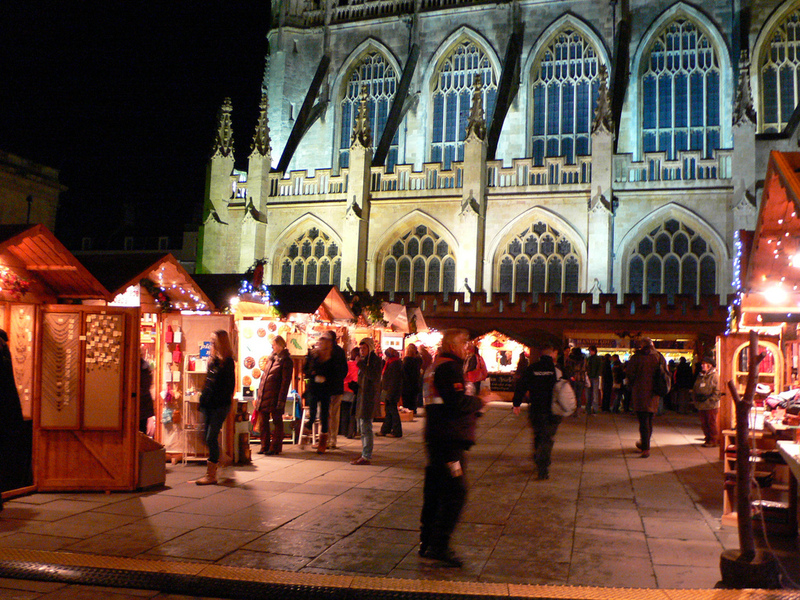 Located in the shadow of Bath Abbey, drop in at this Christmas shoppers’ haven filled with rows of little wooden huts selling bespoke, handicraft items. 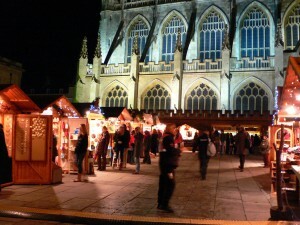 Bath is a Georgian city, and has a rustic prettiness which means it’s well prepared for Christmas magic even without the trimmings, but the sounds of carol singers, sights of richly coloured decorations, and smells of warm British food and mulled wine wafting through the air all help. Stroll around the ornamented of old town Lübeck – taking in the sights and sounds of the festive season in this UNESCO world heritage site: visit the famous Christmas and craft market with its shimmering scenery; taste delicious marzipan and soak up the cosy atmosphere. With Youth Hostel Lübeck Vor dem Burgtor, you can enjoy a discounted price on two nights’ stay in a family dorm half-board (breakfast and dinner-buffet), city map, entry for the elevator to Petri Church (with unbeatable views of the glowing city), and one mulled wine per person at the Christmas Market. 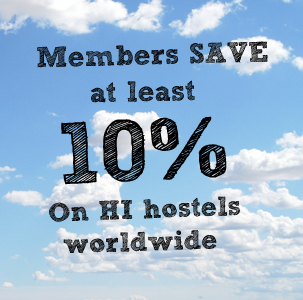 Please enquire by email whilst making your hostel booking for further details on the offer. 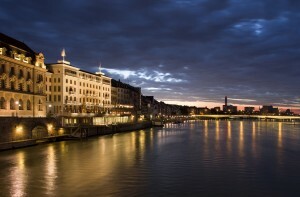 Germany steals one of the top spots again for wintry breaks on small budgets. This idyllic harbour town provides the ultimate experience combining historical discoveries and delving into Hanseatic heritage. Stroll along the harbour, or let the view from the St. Michaelis church steeple take your breath away. Discover the maritime metropolis by boat or bus with the “Blaue Line”, hopping on and off as you wish with a Hamburg Card. Enquire by email at Youth Hostel Hamburg – Horner Rennbahn when making your booking to receive a special price on your European city break, with discounts on local attractions, packages on overnight stays, mulled wine and more. Basel hosts some of Switzerland’s largest and most romantic Christmas markets, two of which are held in the heart of the city, near the cathedral and around the historic Barfüsserkirche. 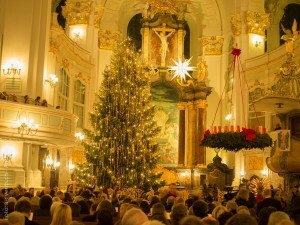 A huge pine is decorated by Christmas tree specialist Johann Wanner; waffles, Basel Läckerli biscuits and grilled sausages are served, and lights illuminate the streets. The opening ceremony on 27th November will be accompanied by the Musik Akademie Basel horn ensemble and free tea, mulled wine and soup will be provided. From grand mercados to cosy collections of local traders, Barcelona offers a heady and unforgettable Christmas experience. The classic and more well-known Fira de Santa Llúcia has expanded to more than 300 stalls and alongside all of the expected handcrafted decorations, gifts, poinsettias and Christmas trees, you will find a rather strange, Catalan Nativity figure called caganer, or ‘crapper’, a small figure crouching over a fairly un-festive, steaming yule log. Much to everyone’s delight, smaller versions of the figure are sold at the stalls. During Christmas, Lille’s Place Rihour comes to life, resplendent as a sparkling winter wonderland and filled with “joie de vivre.” The majestic 50 metre high big wheel provides panoramic views of the whole city, and even if it’s not really snowing, the Grand Place Square is sprinkled with artificial snow, still convincing enough to have you reaching for your gloves, and is dominated by an 18-metre high Christmas tree. Christmas-friendly Bologna is perhaps not on everyone’s radar; but despite being smaller than any of Germany’s showstoppers, the city’s Fiera di Natale allows you to enjoy fairy-lit landmarks such as the Asinelli Tower whilst filling your pockets with stocking-sized presents and unique, wooden figurines. Here, you can graze on citrus peel dipped in dark chocolate and roasted nuts, and enjoy the kitsch, twee cherubs emblazoned around the city. Don’t forget to bring back a bag of torrone – delicious Christmas nougat. Skansen’s Christmas market is a perfect way to experience this ultra-festive, Scandinavian capital. 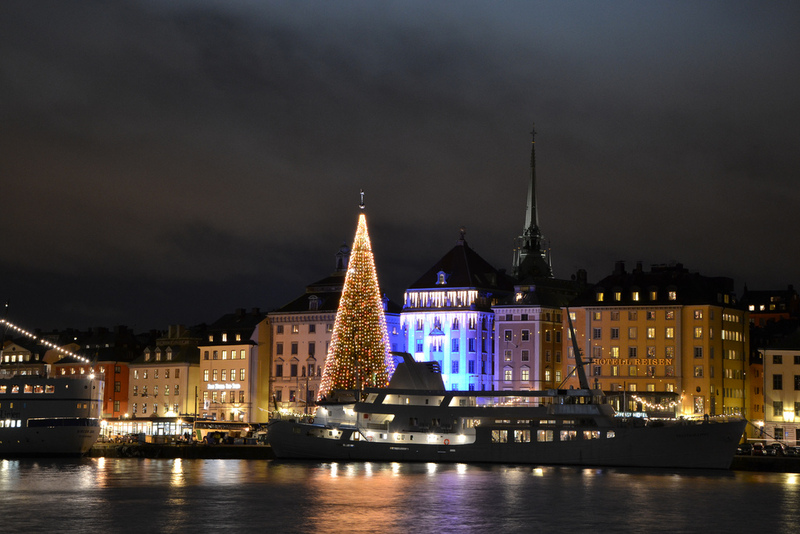 Held annually since 1903, you can get stocking up (forgive us) on traditional Swedish handicrafts such as straw-made ornaments, hand-dipped candles, and decorative art by local crafts-folk. Hungry? Go for Swedish Christmas fare: smoked sausage, eel, saffron buns, pepparkakor (gingersnaps), and glögg (mulled wine). One of the newer hosts of Christmas markets, Vilnius began throwing festive shows in 2009 and is becoming an increasingly popular place to visit around this time, owing to its innovative folkloric celebrations. Traditional fairy tale the ‘Christmas Dream’ is projected onto the Cathedral wall, the ‘old man of Christmas’ has a house at the centre of the market for children to visit, accompanied by the soft sounds of Eastern European Christmas music floating throughout the city. Be sure to grab a Kucia, a native, festive treat of poppy seeds, honey, grains, hemp seed and pulses. Hi! I just to know your web and I love it! I’m Spanish and I’ve been sleeping in hostels years ago. I’ve recommended you on my blog.